Transcendental Meditation is not new, but is a part of the Vedic tradition of India, stretching back several thousand years. It is the heart of the Yoga system, and an important part of Ayurveda (‘the ‘Science of Life’), the world’s most ancient system of natural healthcare and personal development. It may not always have had the same name, but the same basic technique has appeared many times in the past. At times when it disappeared from popular awareness, it was always preserved by the monks of the Shankaracharya tradition as Raja Yoga, the ‘royal path to unity’, which described the vast mental resources that lie virtually untapped below the surface of our conscious mind. Through misunderstanding of the origins of Transcendental Meditation original teachings however, the process prescribed to release this potential and thereby solve life’s problems, ‘Ashtanga Yoga,’ , of which TM is described as the ‘heart’, has been interpreted as eight steps of control and correct behaviour, which would eventually lead to the ability to experience a settled mind or ‘samadhi‘. Because of this confusion of cause and effect, it didn’t work for all but a few who were prepared to give up normal activity. Meditation was for a long time relegated to the fringes of everyday life, and for active people became substituted by visualisation and other relaxation techniques. 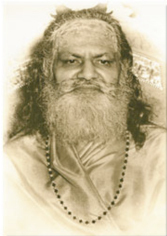 Swami Brahmananda Saraswati, highly revered throughout India as one of the greatest masters of the Shankaracharya tradition, was Maharishi’s teacher and the inspiration behind the TM revival. 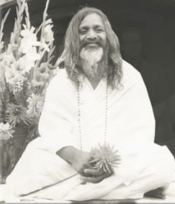 In the 1950’s, however, a major revival of interest in meditation began when Maharishi Mahesh Yogi, a disciple of a renowned leader of the Shankaracharya tradition, Swami Brahmananda Saraswati, travelled throughout India and around the world several times to re-establish the original understanding of meditation as a simple, effortless flow of the mind towards happiness. Maharishi Mahesh Yogi, founder of Transcendental Meditation, a revolutionary in the world of yoga teaching, described himself as “an engineer, sent to repair a road”. People’s experience of the mind’s natural tendency to be active had been leading them into efforts to control it, forgetting that it is also the nature of the mind to be still when given the opportunity. In order to distinguish his revival of the pure knowledge from the prevailing misunderstandings, he called it ‘Transcendental Meditation‘ (TM). Since 1958, more than six million people have discovered on learning Transcendental Meditation, that the most advanced meditation (meaning the most effective) is actually the simplest and can be practised by anybody. So no effort is needed. In fact, the only rule given to new meditators is ‘don’t make an effort.’ Quite a relief for most people! Please note that the Meditation Trust has no connection with the Maharishi Foundation.